I think it's safe to say we have all recently gotten on the Tata Harper bandwagon, so to speak. That is, we are all sort of starting to wake up to the number of chemicals in cosmetics and also to the fact that there are actually fabulous alternatives that work a lot better. That's when I leaned way in on Tata Harper. I was an instantaneous devotée because my skin immediately looked soooooooooooo much better -- as good as I could imagine it looking at this age. But, I was still using my CE Ferulic from Skinceuticals because I didn't find a Tata Harper product that could give me that C anti-aging (especially including the vanishing effects it has on age spots). Also, while I love the Retinoic Nutrient Face Oil before bed, I was still using my anti-aging serum from days past because I just didn't see that product offered by Tata. And, then I listened to this GOOP podcast with Olivia Wilde. She's the True Botanicals brand ambassador. And, a couple of things she said hit home. First, in consumer testing, True Botanicals products score higher than La Mer (long thought to be the gold standard in the anti-aging field). Second, True Botanicals carries a Made Safe certification, which is a third party tester that certifies whether or not a product actually lives up to it's assertions of being made with safe products. 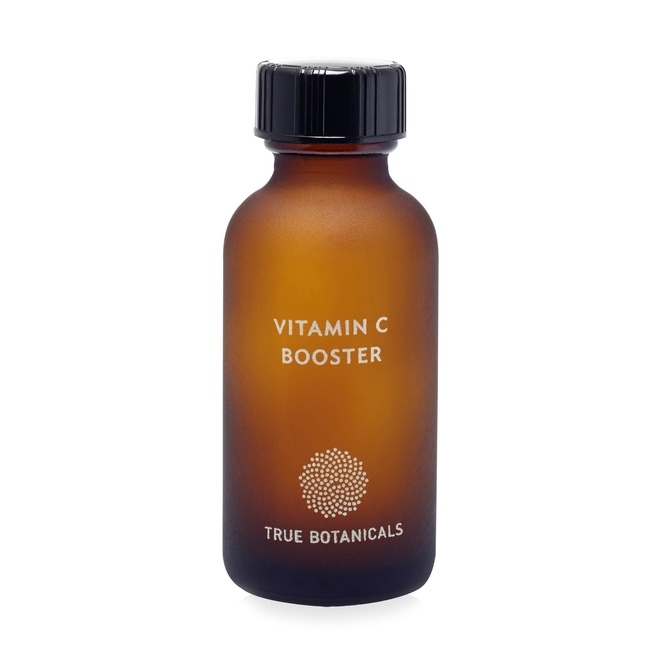 So, I checked out the products and decided to buy True Botanicals Vitamin C Booster, since I needed it anyway. In reading about it, I learned that it comes in powder form (in order to maintain maximum potency (C apparently loses potency quickly in liquid form)) and that you have to mix it with a serum. This seemed a bit much, but I decided to give it a try. 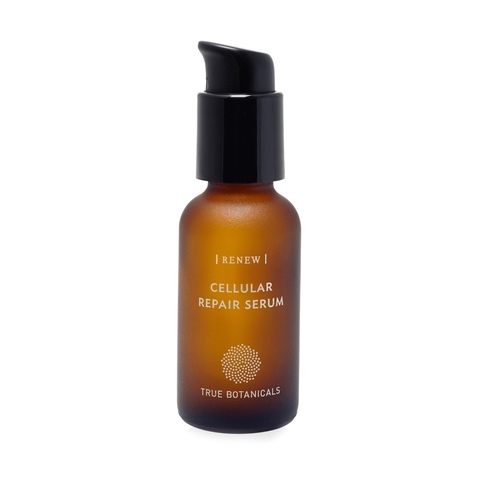 So, I headed over to check out the serums and immediately zeroed in on the "Renew" Cellular Repair Serum, which is the anti-aging one (there are several including anti-acne, etc.). Ok. I encoporated them both into my nighttime routine (it turns out the powder+serum mix is no biggie). The next morning when I walked to the bathroom mirror to put on my contacts and give my skin a looksee, I literally said "Wow" out loud. I really felt like it looked, like, waaaaaay better than it did the morning before. It was plump. It was moist. There were no fine lines. I approached the mirror the next morning with skepticism. But, despite being ready for disappointment, nothing but Wow! (Like, Jack McFarland "WOW!") Again! And, truly every morning since. Maybe it is just my skin. Who knows? But, at least I am crazy about my results.